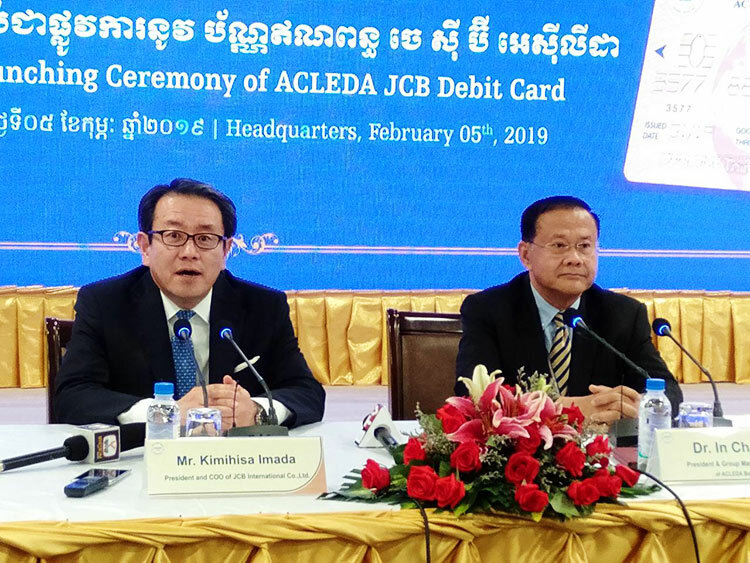 The Acleda JCB debit card was launched yesterday in Phnom Penh, the result of a partnership between Acleda Bank, the largest commercial bank in the Kingdom, and JCB International, a major credit card company based in Tokyo. Cardholders gain access to the more than 30 million merchants in JCB’s network, in addition to discounts and special offers on dining and shopping in venues around the world. “ACLEDA Bank is delighted to be JCB International’s strategic partner. JCB is a leader in payment services,” said In Channy, president and group managing director of Acleda Bank, during the launching ceremony yesterday. “This agreement enables Acleda Bank and JCBI customers, cardholders and merchants to broadly expand their payment coverage. “Acleda cardholders can upgrade their status with this new card, enabling them to access over 30 million merchants and over a million cash advance locations in 190 territories around the world,” Mr Channy added. He said the decision to partner up with JCB was motivated by the strong presence of Japanese investors and tourists in the Kingdom. “We had to find a good partner that trusted us and whose customers trusted us. “We have many partners in Cambodia and around the globe, but what’s special about JCB is they have 120 million members and come from a country with a great reputation for quality and honesty,” Mr Channy added. Kimihisa Imada, president and COO of JCBI, said the company is focusing on Asean, a region where payment systems are developing fast. He said the bank hopes to capitalise on Asean’s strong economic growth and young population. “We are aggressively pursuing our expansion in the region, particularly in Cambodia. 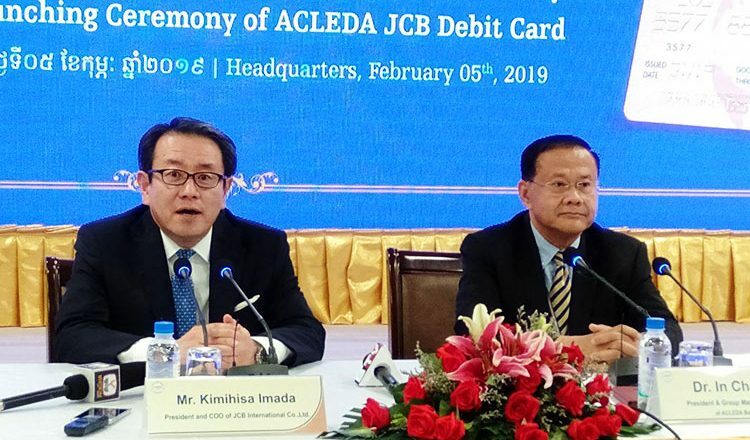 I am sure Acleda Bank and JCB will have many opportunities to expand their business in Cambodia, a country with many opportunities due to its strong economic growth,” Mr Imada said.